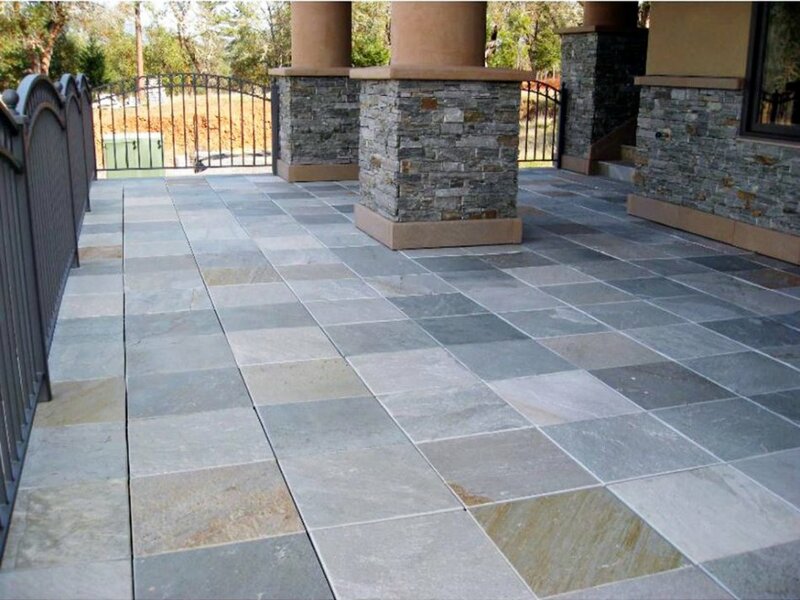 A high quality modular interlocking genuine stone paving system that is made in the USA. 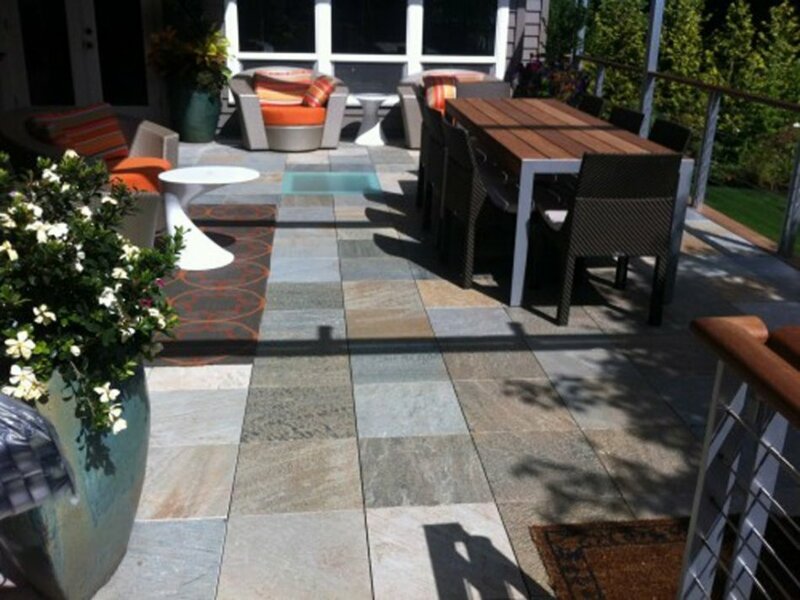 Simple light weight pavers utilze genuine Slate or Granite bonded to an engineered fiberglass base. 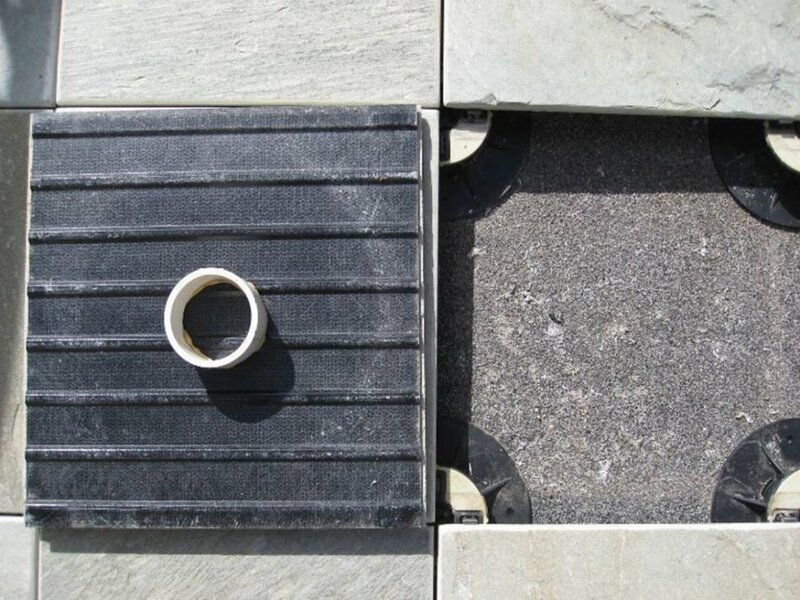 The result is a beautiful strong stone paving system which can be installed over standard wood joists or any existing sloped or flat surface. This product is durable long lasting and very affordable for both commercial and residential applications. 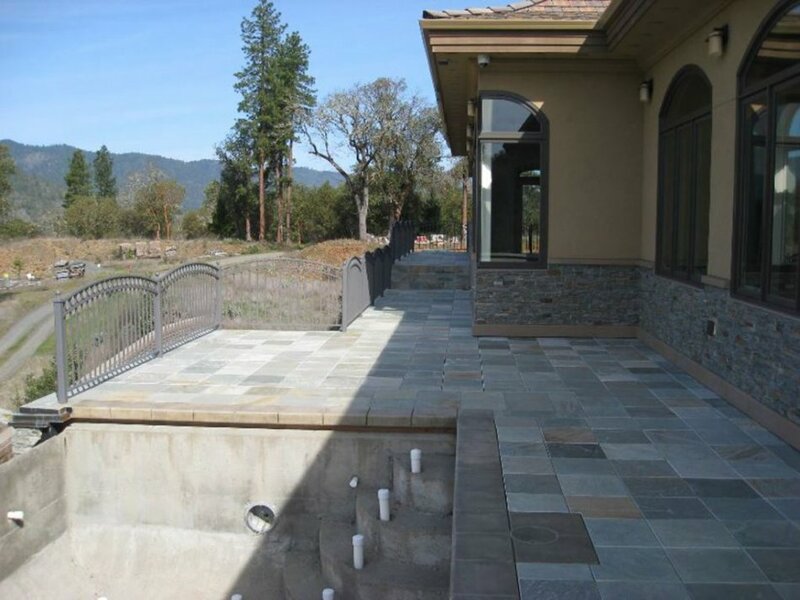 Now, contractors and homeowners can build new, or replace old, high-maintenance decks with a durable stone paving system. 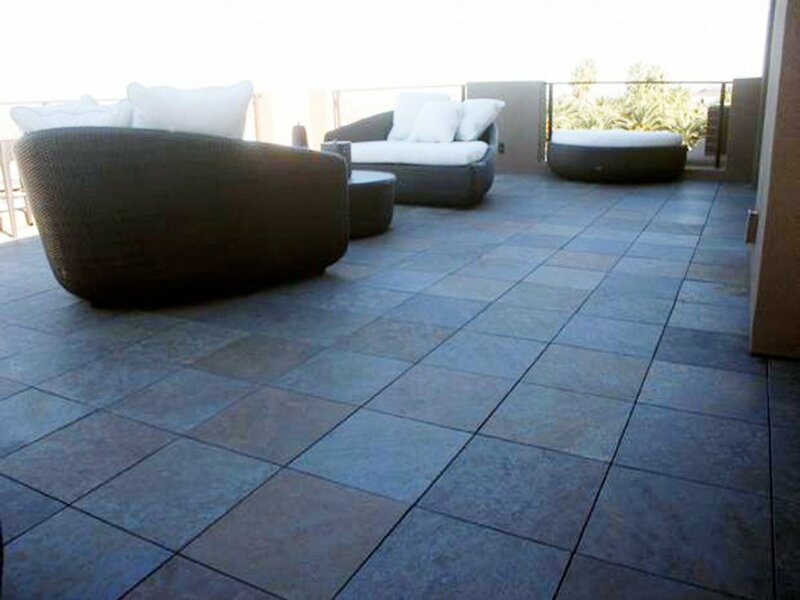 The modular pavers can be installed over any even well drained surface including balcony decks, roof terraces, existing wood deck joists and even concrete slabs in the backyard. 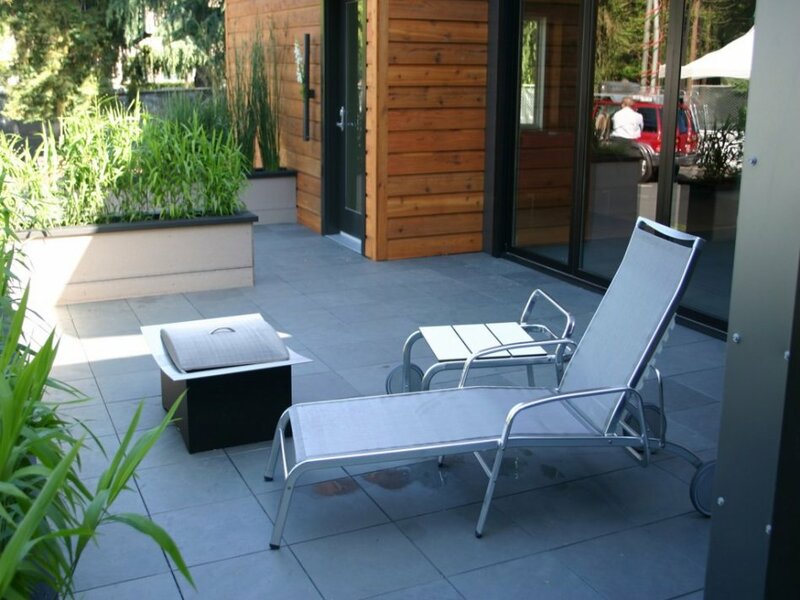 Interlock the pavers over the surface directly or use our adjustable pedestals to level any sloped area. The tiles interlock on all four sides and install over pedestals or joist plates. 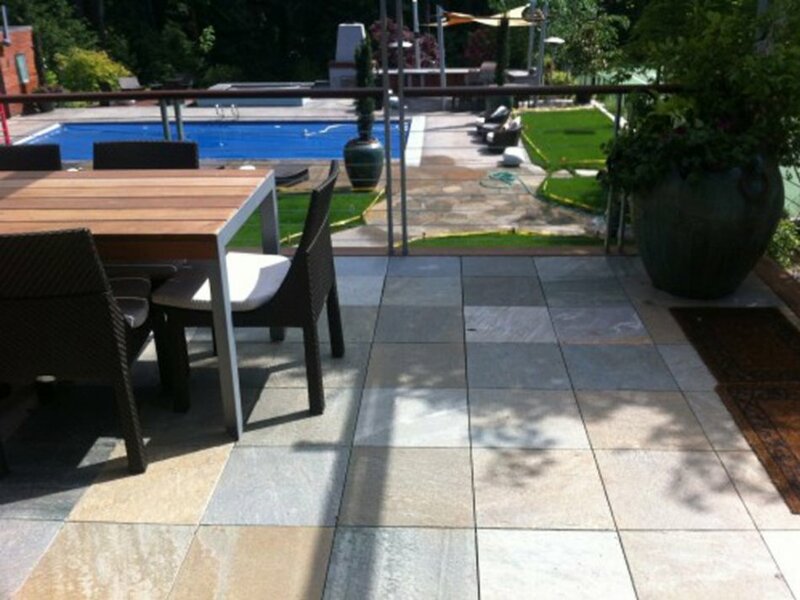 Purchase an used Stone Deck Tiles for only $32.00*.